Extensible Messaging and Presence Protocol (XMPP) is an open XML technology for real-time communication as explained in the official site info section. Main Benefits of using it is its feature such as Presence to notify user state as well as being extensible therefore allowing you to extend its capibility to send Images and Video too. Other solutions do not provide such advance features and to add user states such as typing/away is very hard to implement yet core to a chat app. Therefore, XMPP is a good choice for chat apps. Before we move on to explaining things and to code, a little review of what this tutorial will cover will be good. 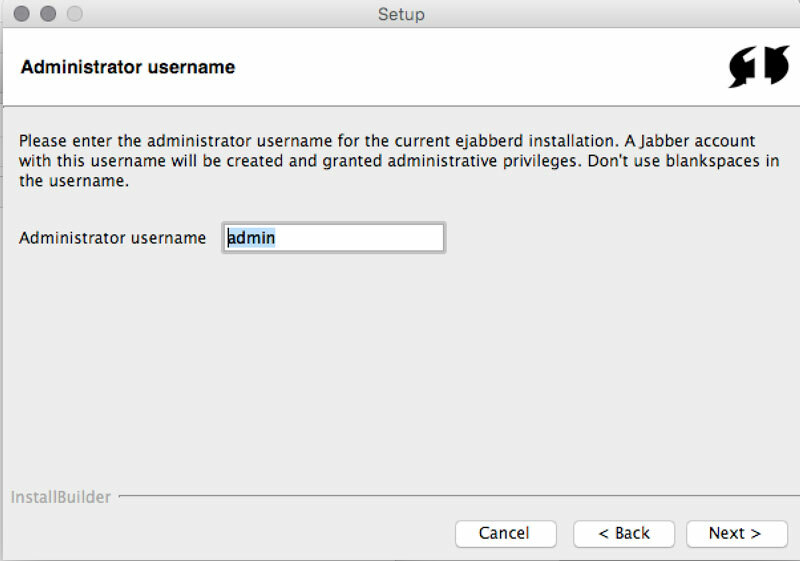 We will be running a ejabberd xmpp server for our chat app. Steps to install and configure it will be given. 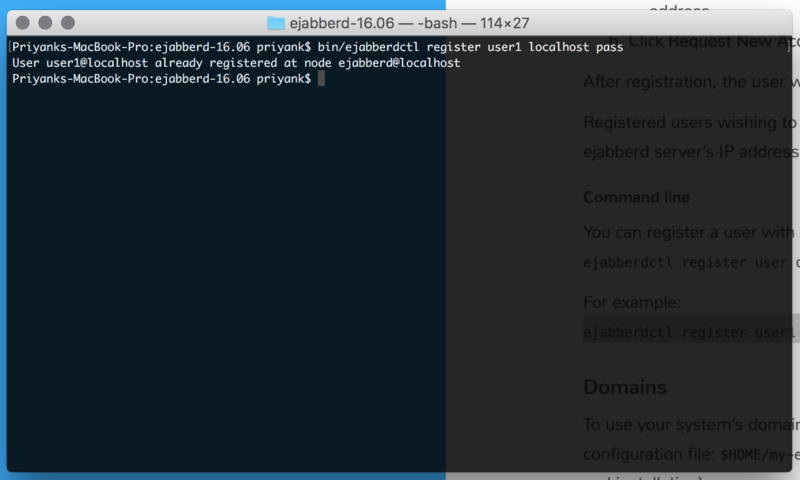 It’s good to get familiar with the working of server using terminal for future use. You can read and explore more on ejabberd site. Connecting and Login with the server plus handling errors will be explained. 5) Sending To/Fro Message To The Other User Through Android App. This part will have us code for messages coming from other user as well as sending message from the app. We will be using ejabbered server for our app. There are several xmpp servers available out there, Openfire being a popular alternative. 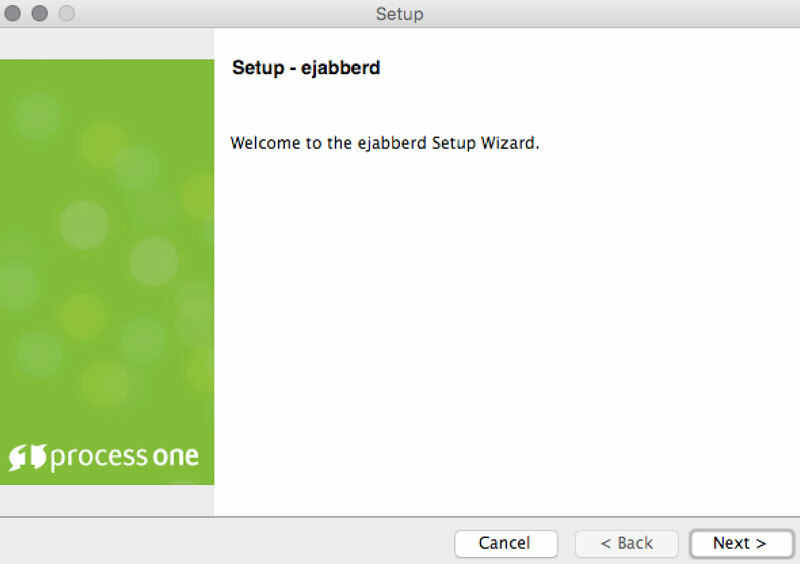 Go ahead and download the ejabbered community server installer from here. • Install it to the Default Path which will be something like Applications/ejabbered/ on the Mac OS X. 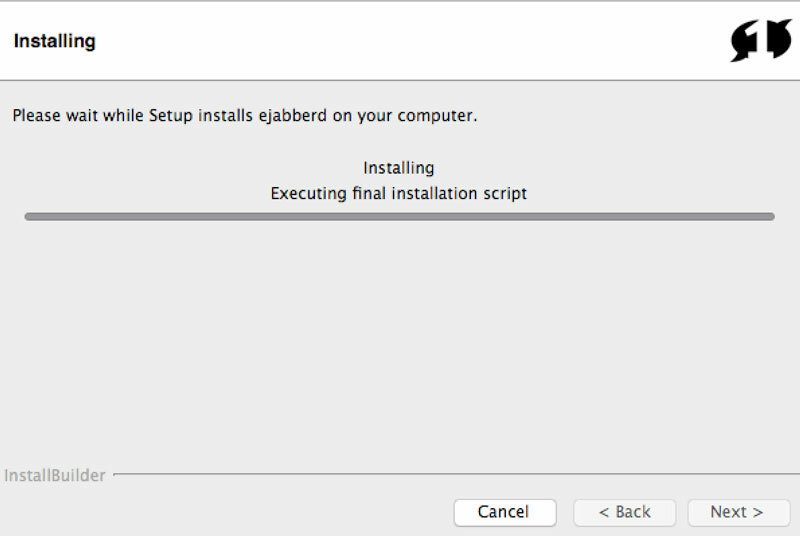 • ejabbered will install now. Click done at the final screen. 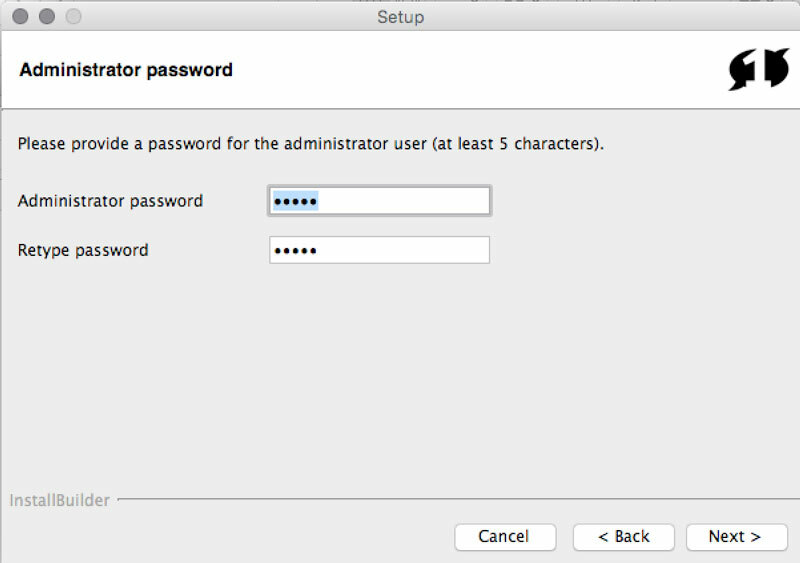 Steps are also explained here for your reference https://docs.ejabberd.im/developer/install-osx/. 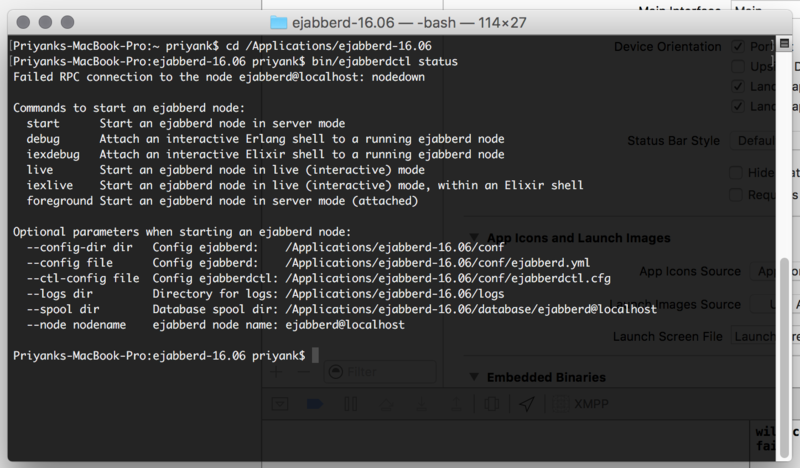 • Open a Terminal folder and cd into the ejabberd path. • To register the user -> use the syntax register username servername pass. 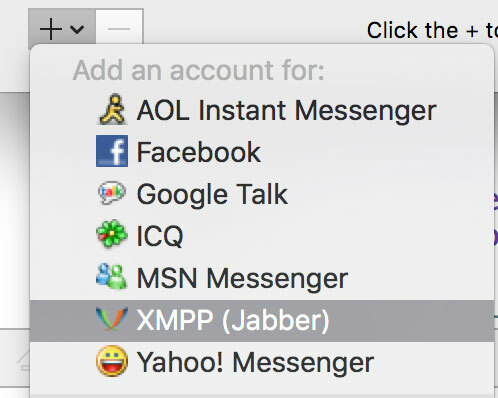 Since our server is setup using a XMPP based protocol, we will be using a jabber client to connect to our server and check out how it performs. Go ahead and download Adium from https://adium.im/. • Now open Adium preferences from the top menu. Clicking request new account will now register this and you will have the adium client setup for this. Now with our server setup and adium running with the second user, time to move to Android Studio to build the chat app. 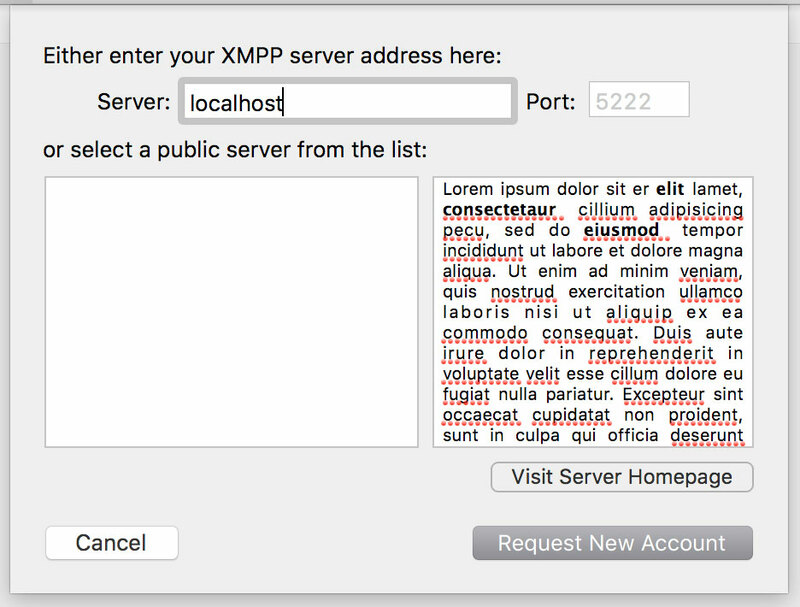 Open up Studio and create a new basic activity template project named XMPP. We will be using SMACK for connecting to the server. It is a open source, well documented client API for xmpp. // Create a connection to the jabber.org server. We create a AsyncTask class MyLoginTask to do the network request and authentication in background thread and call it from our onCreate() method. In the doInBackground we create our config object, fields we set are usernameAndPassword of user1 we created using terminal. The host set is 10.0.2.2 instead of localhost since android emulator refers localhost to itself so we need to use 10.0.2.2 for our emulator to connect to Mac’s localhost. Security is disabled and the service name for our connection purpose we specify as localhost. Next we set the default xmpp port of 5222 and setDebuggerEnabled(true) so that we receive proper logs of any connection failure/success. With this config we create our connection object and try to connect to our server and subsequently login. Calling conn1.isAuthenticated() will return us whether the user has been authenticated with the server. All of the connection and auth call are wrapped in a try catch so that we can catch any failure and take proper action. Run the app and if everything has been followed correctly, you will see the auth Done log in the console. Step 5. Recieve Message From The Other User Through Android App. Add the following code in the isAuthenticated condition of the asynctask. Here we add a chatListener to our ChatManager class provided by Smack for the current xmpp connection. We override the chat created method which will be called for each conversation with different users. In the chatCreated method we add a ChatMessageListener which provides us with the message body of the chat and many other attributes such as user name, time stamp etc. 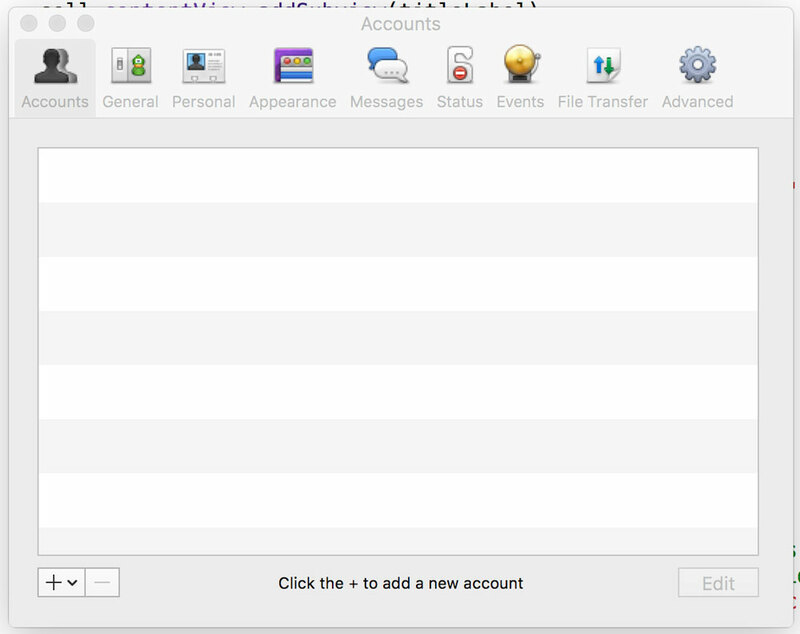 Now run the app and send message to user1 from Adium client. You shall see in the logs proper message being received. Thank you for reading this far. For any questions you are welcome to ask in our chat room.